The copper mine offers many surprises. The curtain of water, the evident veins of copper and the turbulent history of the mine are simply incredible. 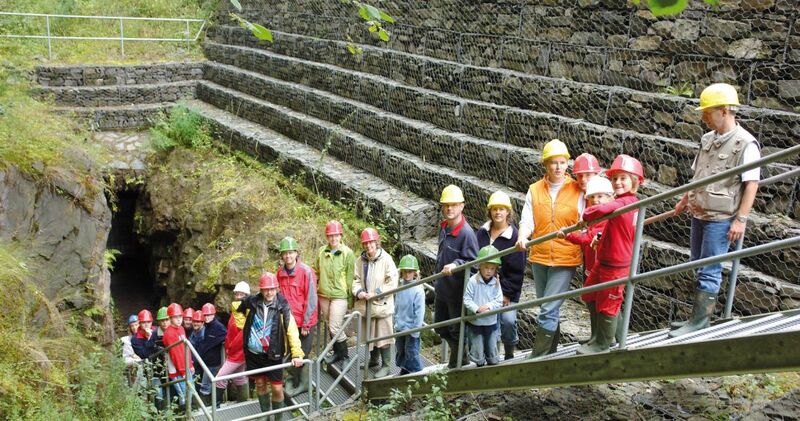 It is in the museum that visitors will discover the geology of the Oesling and the landscape of the Our Valley. The history of mining, countless minerals and a report presented by former miners complement the exhibition. The visit includes a hike of 3 km. A good physical condition is required. 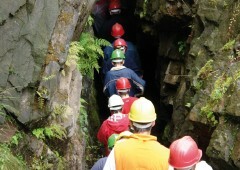 Boots and waterproof clothing necessary for the visit are provided on site. Open from Easter to October every Sunday and on holidays. From mid july to end august open every day. Guided tours (without reservation) at 14:00. Meeting point: at the museum entrance. Adults 7,5€, children 3€. Not suitable for children under 6 years.